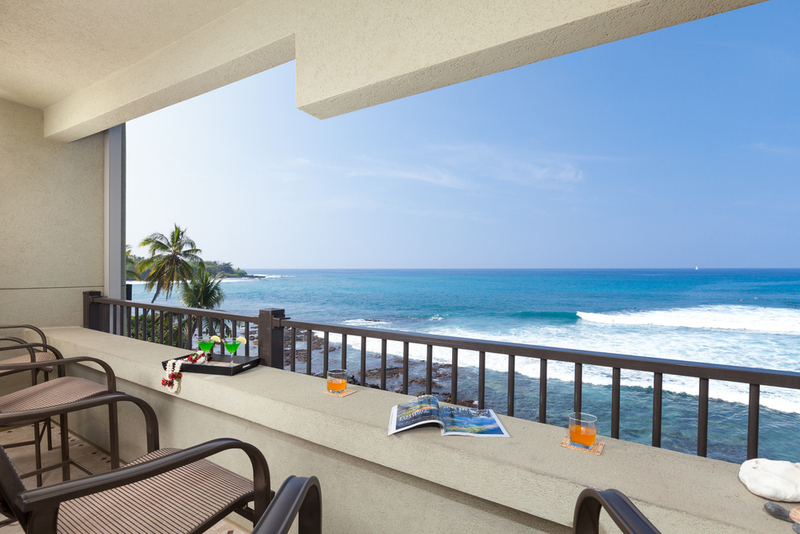 Banyan Tree Condo 402 is ideally located to take advantage of the amazing views of Holualoa Bay and the Pacific Ocean. 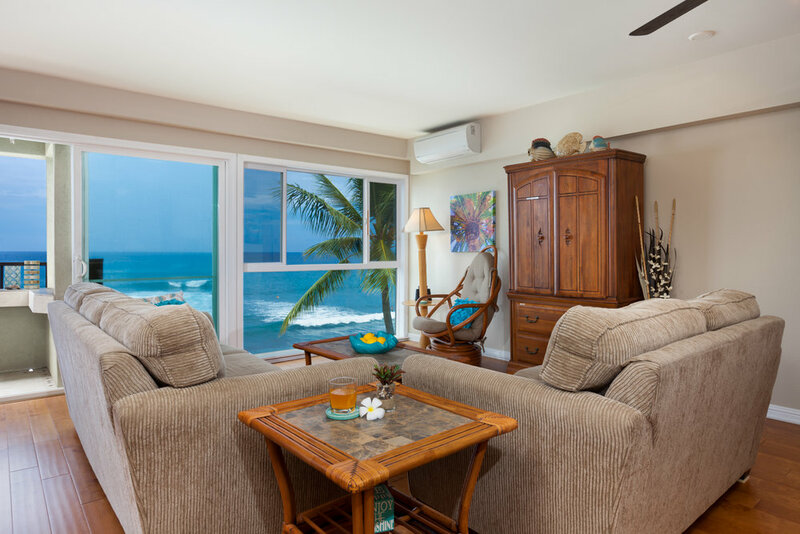 Perched on the quiet penthouse level but so close to the ocean you'll be able to see tropical fish like the yellow tang from your living room or private lanai. Turtles and spinner dolphins are a common occurrence and when in season whales breach before your eyes. 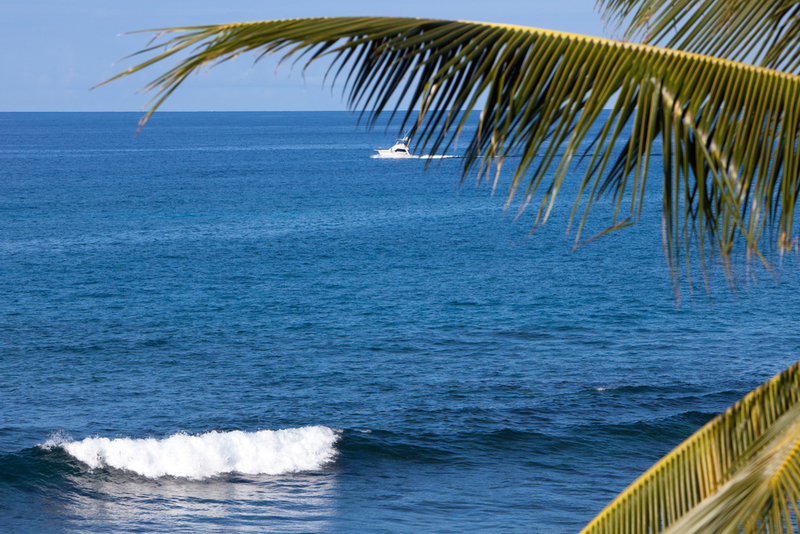 The Banyans surf site is located right in front of you so you can kick back & watch the locals catch a wave or boogie board. Since the condo faces west, you'll also have a front row seat to postcard pretty sunsets! 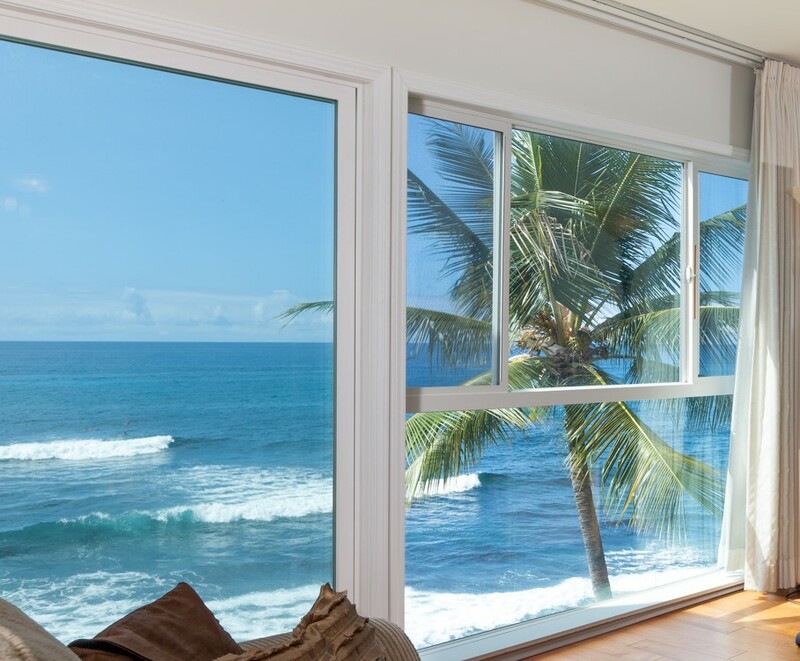 The Banyan Tree Penthouse 402 features a living room with floor to ceiling windows that looks as if the Pacific Ocean is coming into the room! 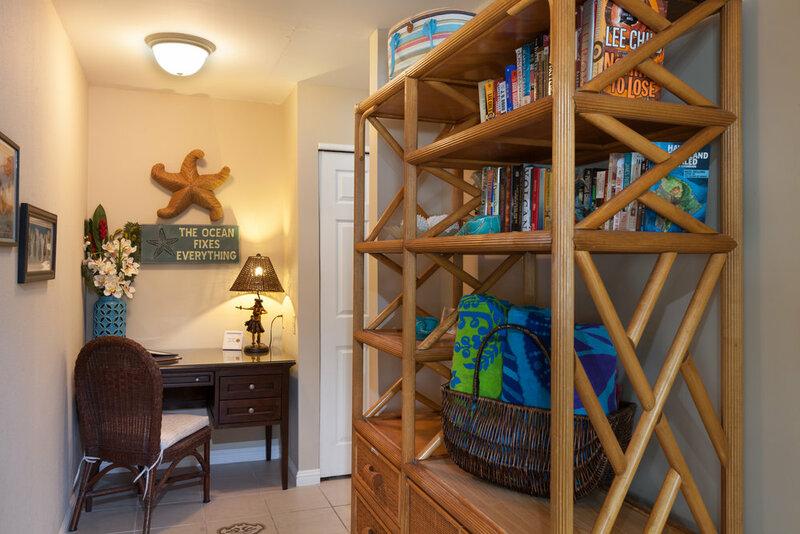 This two bedroom condo, that comfortably sleeps five people, showcases an oceanfront master bedroom with a comfy king sized bed. The second bedroom has a spacious queen bed and a twin bed. 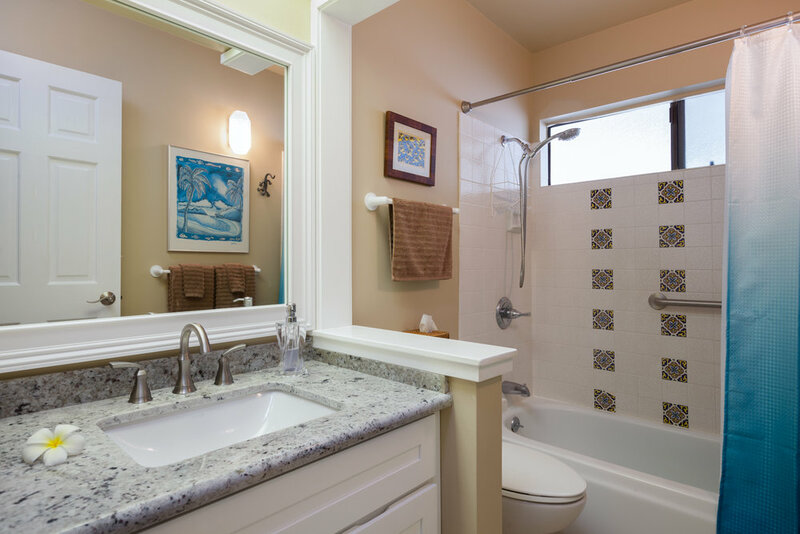 Each bedroom has a full sized bathroom. 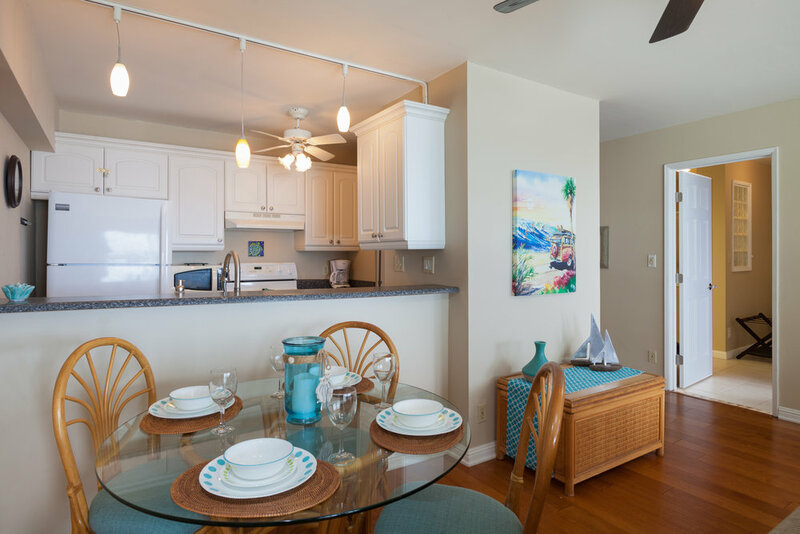 From the fully stocked kitchen and the dining room table you can enjoy amazing views of the Pacific. 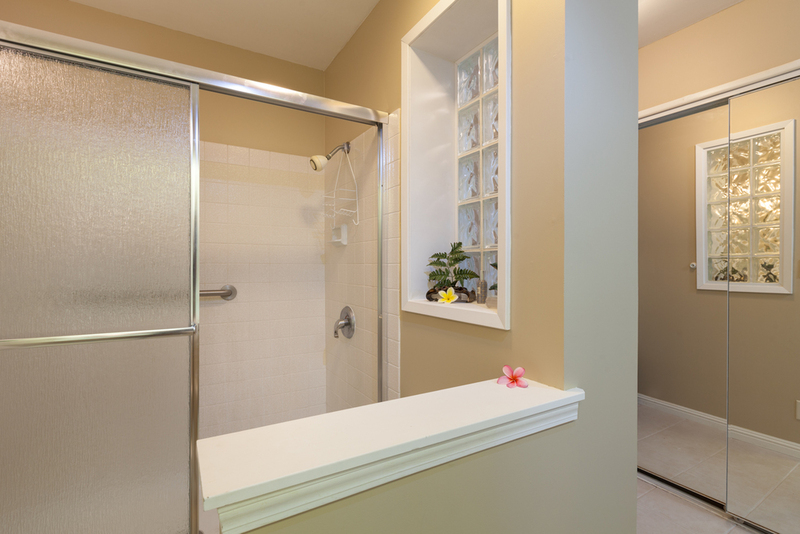 The private, tiled lanai is a perfect place to have that first cup of coffee in the morning or to catch an amazing sunset. You'll also be able to enjoy free wireless access, cable TV and beach equipment for your excursions. 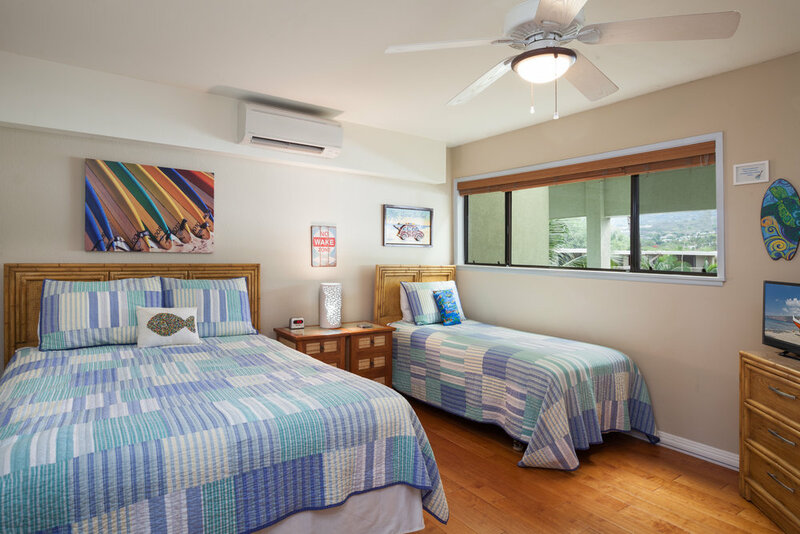 Enjoy cool air conditioning throughout the condo for those warmer Kona days. 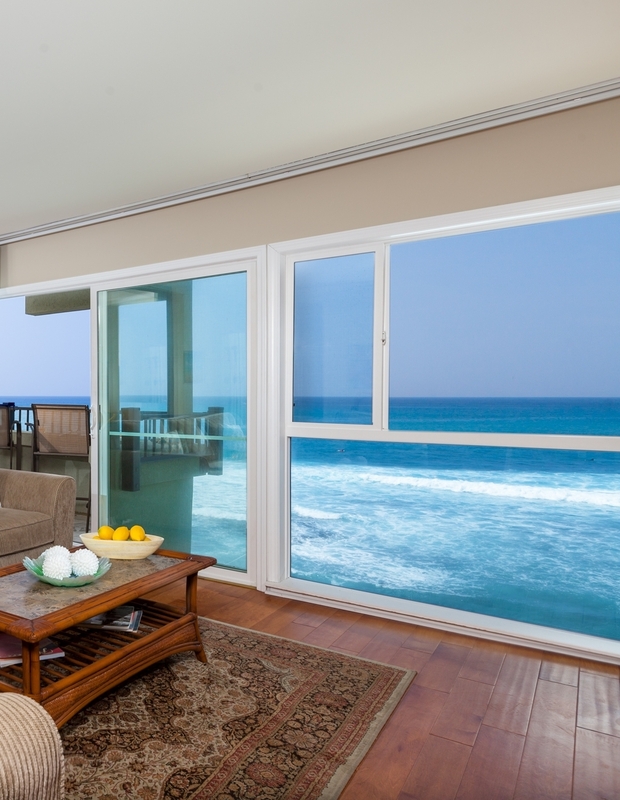 Property: Penthouse Condo • Fourth Floor • 1200 sq. ft. Fully Stocked Kitchen: Coffee maker • Coffee grinder • Blender • Cooking utensils • Dishwasher • Microwave • Toaster • Refrigerator • Stove • Pantry with herbs, spices, seasonings, etc.